Paladin Antivirus is a fake security application (rogue) from the CoreGuard family. 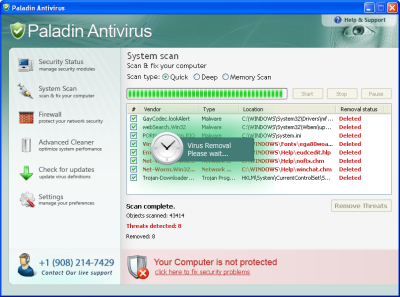 Paladin Antivirus detects fake infections on a clean system to scare users. It also prevent legit softwares execution, displaying an alert/infected message. The rogue contain Malwarebytes MBAM database, but Paladin Antivirus is unable to work with it as the engine is not optimized to use the best of the stolen data. Licensing the software and clicking [Check for Updates] button launch an animation but there is no network activity. 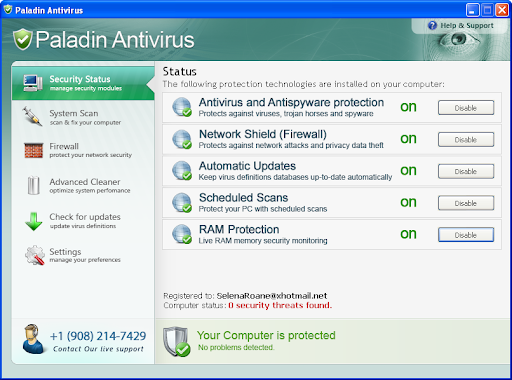 If your PC is infected with Paladin Antivirus use MBAM to remove the infection.